Trees aren’t very popular (or should I say ’poplar’!) in spring for some mums, dads and their children. That’s because tree pollen is one of the main causes of hay fever in the UK, with one in four sufferers allergic to it, and the main allergen-producing trees are usually in bloom mid-March to May. However, HayMax is popular amongst celebrities, researchers, allergy experts and families as it’s an effective way of reducing the amount of tree pollen getting into the body, which could completely stop the reaction. When temperatures start to rise in late winter and early spring, the main allergen producing trees start pollinating. The peak season usually starts with alder and hazel in February/March, followed by elm and willow in March and April. Then birch and ash peak in April, and finally oak in April/May. Unusually mild weather can lead to earlier pollen production by certain trees, whilst cold, wintery weather in March, as happened in 2018, can lead to a delay for certain trees, giving a shorter season with a higher pollen peak. And it’s another reason for wanting to stay in bed all morning, as the peak time for pollen is between 5am and 10am. The body’s reaction to too much pollen is producing extra histamines. Histamines in the brain are normally a good thing – they keep us alert, attentive and awake. But too many can lead to symptoms such as sneezing, a runny nose, a blocked nose, itchy, watery, streaming or swollen eyes, and itchy nose and throat. Put simply, we can tolerate certain amounts of pollen, but there’s a level above which we will suffer an allergic reaction, triggering the release of extra histamines. 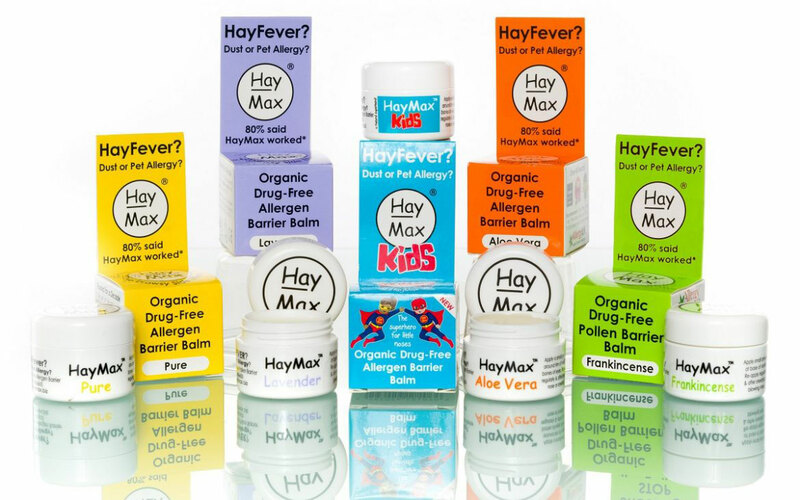 HayMax and HayMax Kids are popular organic, drug-free allergen barrier balms that reduce the amount of pollen you breathe in through your nose. Research has shown that when applied around the rim of the nostrils, HayMax traps over one third of the pollen before it gets in the body . So you may be able to tolerate higher pollen levels without hay fever symptoms being triggered. There are no drowsy side-effects – so no more excuses for falling asleep during a particularly boring meeting, then. It can be used whilst driving and operating machinery, and will not adversely affect your performance at work, school, during exams or while taking part in sports or fitness. And HayMax is suitable for children and pregnant and breast-feeding mums, as it is drug-free. 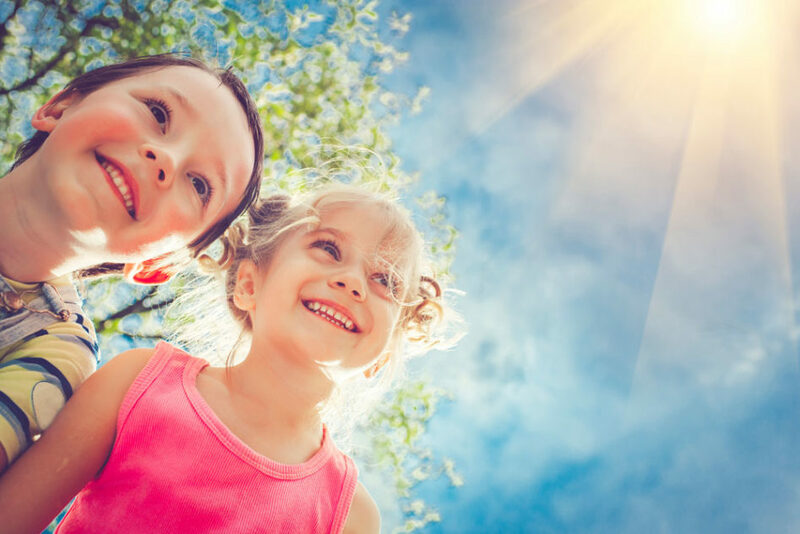 The National Pollen and Aerobiology Research Unit (NPARU), in 2009, found that HayMax resulted in a “reduction to the amount of allergen entering the nose” . And in 2012, it reported that HayMax traps over one third of the pollen before it gets in the body . Leading national patient charity Allergy UK, in a 2016 survey, reported that 80% of respondents said that HayMax worked . And in July 2014, it reported that almost eight out of ten respondents said the balm helped some or all of their hayfever symptoms . 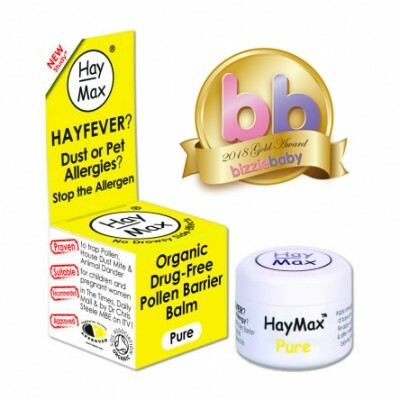 Janey Lee Grace and her team of judges, including TV and radio personality Zoe Ball and Dempsey and Makepeace actress and nutrition author Glynis Barber, voted HayMax Best Allergy Product in the 2018 Janey Loves Platinum Awards. So celebs love HayMax too. Lots of Mums and Dads love HayMax. 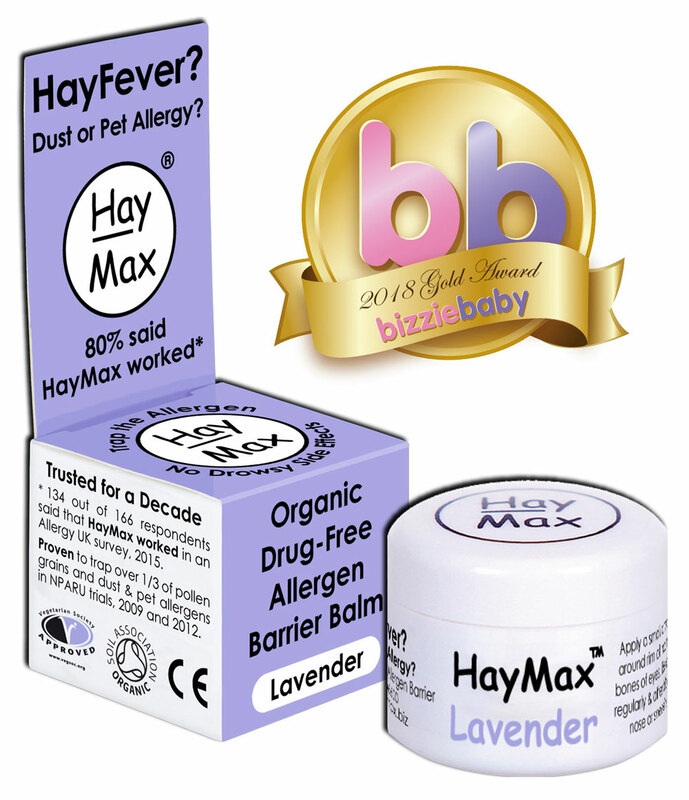 Leading parenting website Bizziebaby.co.uk presented HayMax with 5 awards in its 11th Annual Awards 2018. 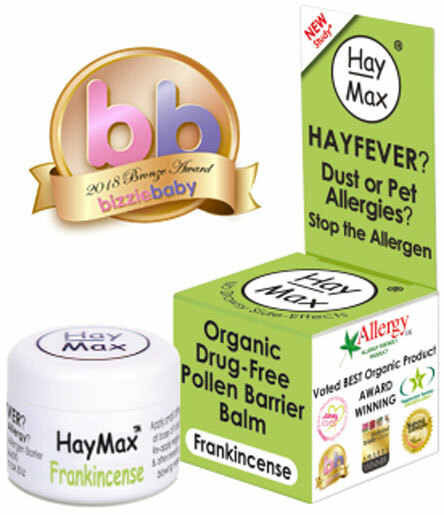 Voted for by real mums, HayMax Frankincense picked up a Bronze, while HayMax Pure, Lavender, Aloe Vera and HayMax Kids all received Gold Awards. 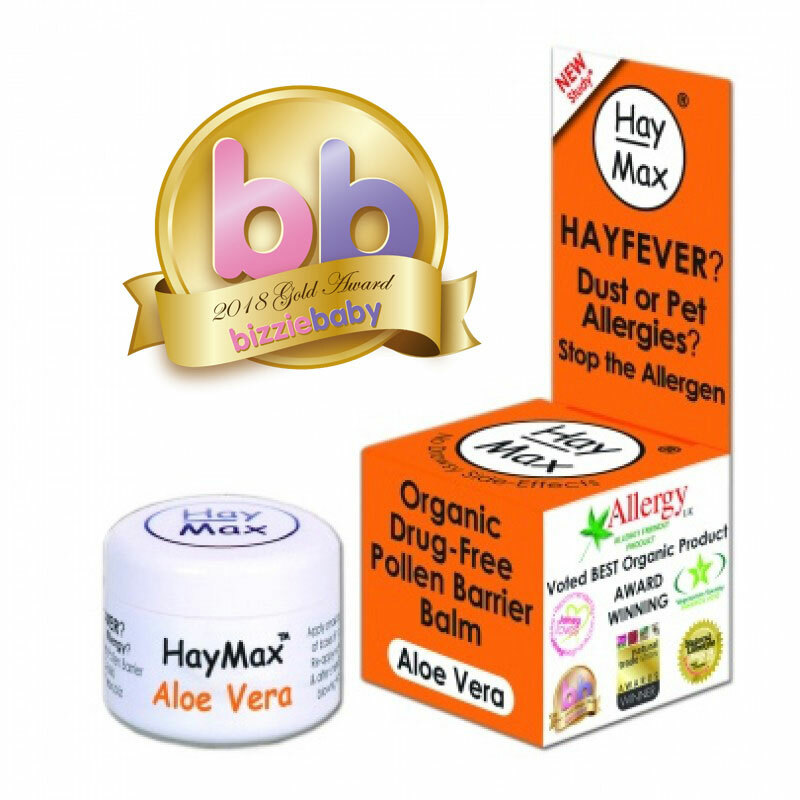 HayMax organic drug-free allergen barrier balms retail at £6.99 per pot and are available from Holland & Barrett, selected Morrisons and Boots, independent chemists, pharmacists and health stores, online and direct on 01525 406600 or www.haymax.biz.